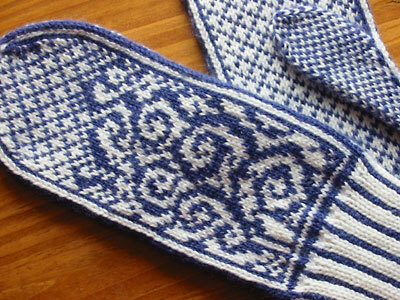 My dilemma about the differently-sized cuffs has been solved, in much the way that Tamar suggested. I wasn’t sure it would work, as I have teeny tiny hands and wrists. Anyone with smaller hands than me likely has an age in the single digits. I knit semi-regularly with a bunch of fellow grad students. Last weekend, we had a round of Cinderella-esque (or O. J. Simpson-esque) mitten-trying, and one girl did turn out to have smaller hands than me. 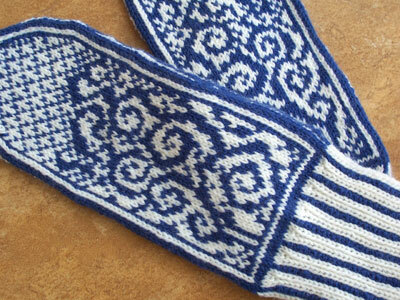 She will be getting a pair of Anemoi Mittens, courtesy my Continuing Problems with Gauge. © 2006-2019 CogKnition.org. All rights reserved. Powered by WordPress.